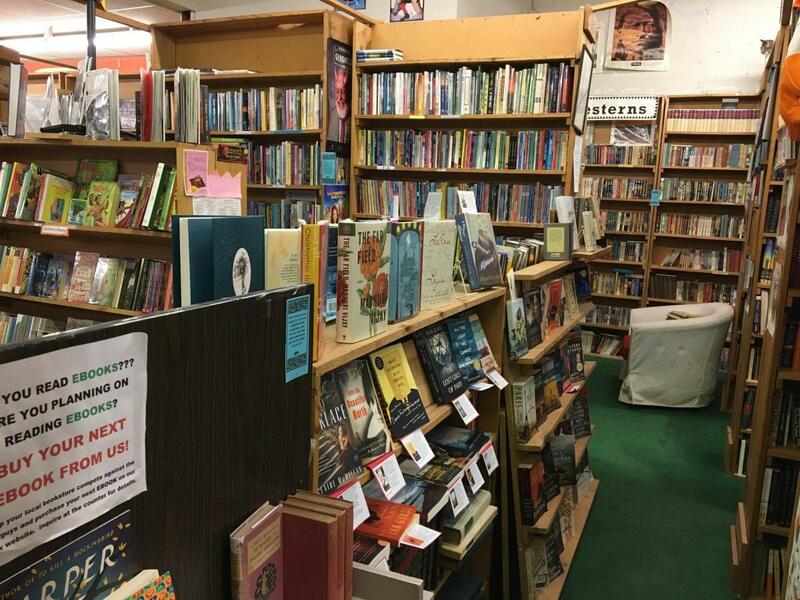 Vintage Books is an independent family-owned bookstore, serving book lovers and auto enthusiasts since 1975. The staff is full of passionate readers with a diversity of preferences for "staff choice" selections. Find plain pine bookcases, vintage rugs and chairs, surfaces covered with old sayings, and Maisie and Dickens (the bookstore cats).